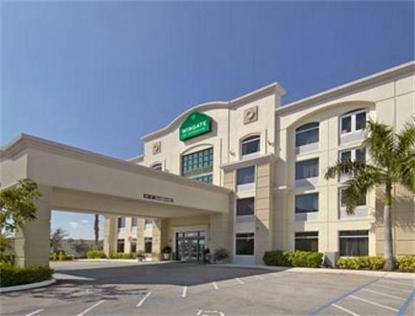 Conveniently positioned between Ft. Lauderdale and Miami, the Wingate by Wyndham hotel offers a prime location for business or leisure travel. Located at Miramar Parkway and I-75 just moments from the Miramar Park of Commerce and Sawgrass Mills Outlet Mall, the Wingate by Wyndham presents a fusion of upscale amenities with a warm and friendly welcome. Its the perfect place to start and end your travel day.Wingate by Wyndham is proud to offer a host of valuable amenities at no extra cost to you. Our all-inclusive pricing gives you access to our expanded fitness center, relaxing outdoor pool, whirlpool, and efficient and well designed business center with free faxes, printing and copies. Need to work late, no problem. The business center is accessible 24 hours a day, 7 days a week.Before the workday begins, power up the day with the Wingate by Wyndham delicious, expanded complimentary hot breakfast.From the minute you arrive, you know we mean business. Sleek, contemporary, vibrant, and stylish with the spirit and energy of sunny South Florida. Attention to detail and a passion for quality. We are ready to be an important part of your successful business trip or enjoyable leisure visit.